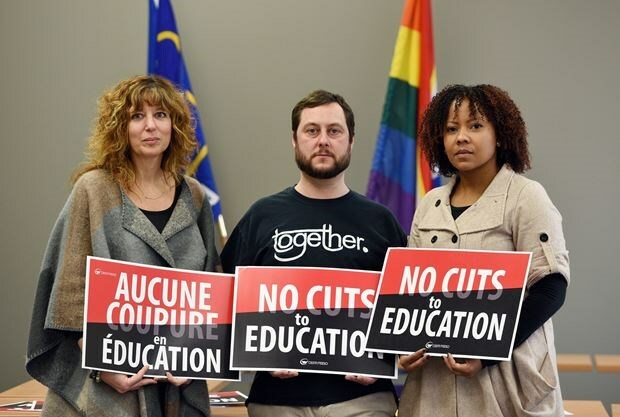 DURHAM — Durham high school teachers will be holding rallies outside local MPP offices on Feb. 7, to raise the alarm about possible education funding cuts. The Ontario government announced on Jan. 23 that it will consult with teacher unions and trustee associations, in an effort to “modernize” the way education is funded — including discussions around class size caps. Lamia Sabbagh, president of the Durham local of the Ontario Secondary School Teachers’ Federation (OSSTF), says that the union is “very concerned” about how a pledge by the Doug Ford government to cut Ontario’s budget by four per cent might impact education.